‘t Smisken West-Flanders is beautiful and has lots of bed and breakfasts. Ofcourse we are only looking for the best bed and breakfasts in ‘t Smisken West-Flanders. It’s important to compare them because there are so many places to stay in ‘t Smisken West-Flanders. You’re probably wondering where to stay in ‘t Smisken West-Flanders. To see which bed and breakfast sounds better than the other, we created a top 10 list. The list will make it a lot easier for you to make a great decision. We know you only want the best bed and breakfast and preferably something with a reasonable price. Our list contains 10 bed and breakfasts of which we think are the best bed and breakfasts in ‘t Smisken West-Flanders right now. Still, some of you are more interested in the most popular bed and breakfasts in ‘t Smisken West-Flanders with the best reviews, and that’s completely normal! You can check out the link below. Skip to the most popular bed and breakfasts in ‘t Smisken West-Flanders. This property is a 18-minute walk from the beach. 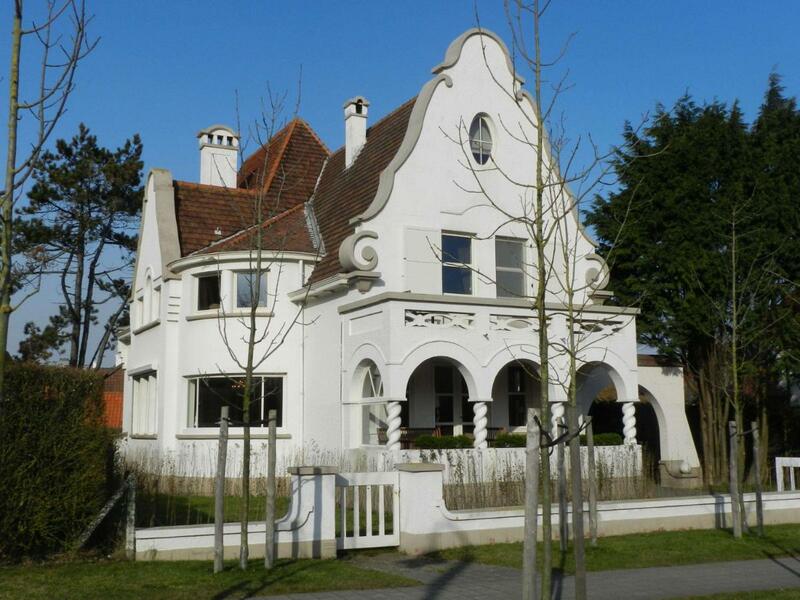 B&B Hoeve Welgelegen is located in De Haan, 8 miles from Bruges and 7 miles from Oostende. Free WiFi is featured throughout the property and free private parking is available on site.Every room comes with a flat-screen TV with cable channels. Some units feature a sitting area for your convenience. Every room includes a private bathroom. 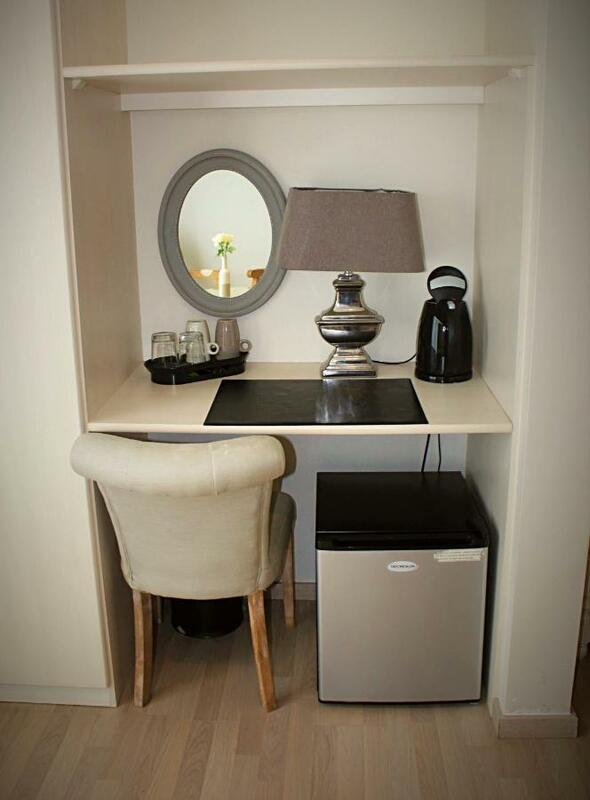 For your comfort, you will find free toiletries and a hairdryer.There is a shared lounge at the property.Knokke-Heist is 10 miles from B&B Hoeve Welgelegen, and Domburg is 28 miles away. The nearest airport is Ostend-Bruges Airport, 10 miles from the property. Quiet and still close to village center and seaside. Super persoonlijke ontvangst met extra uitleg, ‘s morgens een koninklijk ontbijt met ook weer die persoonlijke touch… échte aanrader… wij komen zeker terug! Das Frühstück ist absolut der Ober Hammer! Mit viel Liebe, jeden Tag anders, mit frischem O-Saft und Bio Produkten aus der Region. Mit Joghurt und frischen Früchten, mit Kuchen, Mal Lachs, Mal Roastbeef oder Serano Schinken… Geröstete Kerne und Flocken zum Joghurt… Kuchen, Croissants und tolle Marmelade… Und alles so hübsch angerichtet… Kaffee oder Tee… Wir fanden es toll!!! Nous avons apprécié le calme extérieur ainsi qu’à l’intérieur de l’etablisssement. La deco simple épurée et de bon goût. Le petit déjeuner excellent Et copieux . La gentillesse de notre Hôte !!! Showcasing a barbecue and views of the garden, B&B Novo Templo is located in Nieuwmunster, just 7 miles from Bruges. Free private parking is available on site.The rooms are fitted with a flat-screen TV with cable channels. Certain rooms feature a sitting area to relax in after a busy day. You will find a coffee machine in the room. Each room has a shared bathroom. For your comfort, you will find bathrobes, slippers and free toiletries.There is a shared kitchen at the property.Bike rental is available at this bed and breakfast and the area is popular for biking. 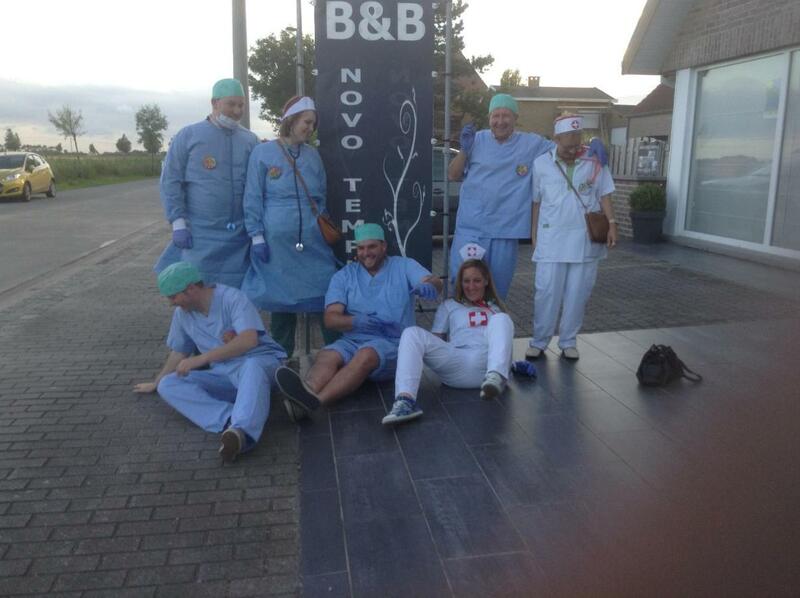 Oostende is 8 miles from B&B Novo Templo, and Knokke-Heist is 9 miles away. Ostend-Bruges Airport is 11 miles from the property. Very nice and friendly B&B. Wonderful hosts, delicious breakfast! Wonderful breakfast with nice little details, and Tina and Patrick are excellent hosts and very nice people. We also liked the animals (pony and four chicken). Zeer verzorgd ontbijt. Vriendelijke gastvrouw en gastheer. Mooie tuin. Zeer nette kamers. rustige ligging. Ontvangst was zeer goed, heel vriendelijke uitbaters. Propere kamer, mooie zithoeken (meerdere in 1 kamer), heel mooie tuin. Ook heel rustig gelegen. Het ontbijt had alles wat een goed ontbijt moet hebben. 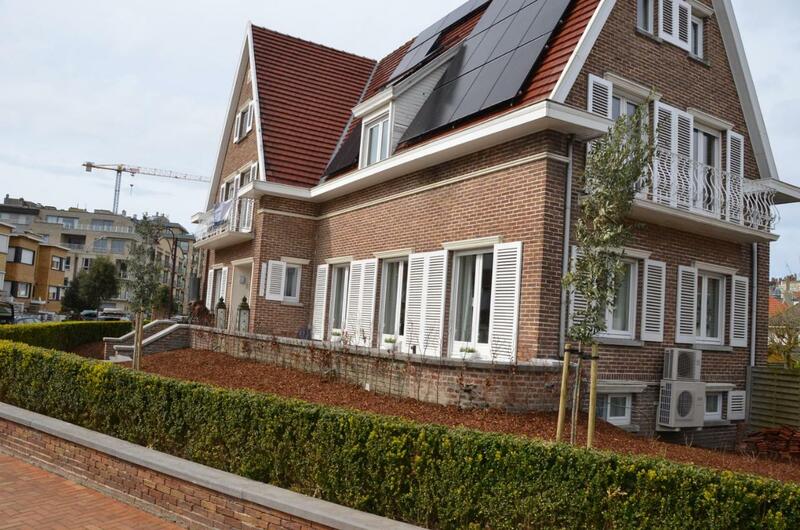 B&B Agnes offers pet-friendly accommodations in Vlissegem.All rooms include a flat-screen TV. Certain units include a sitting area for your convenience. There is a coffee machine and a kettle in the room. All rooms come with a shared bathroom.Bruges is 8 miles from B&B Agnes, and Oostende is 6 miles from the property. The nearest airport is Ostend-Bruges Airport, 9 miles from B&B Agnes. We had a great stay at the B&B Agnes with very welcome from the owner. The B&B has a great facilities, the bed was comfortable and bathroom has a great shower. The breakfast was superb! We definitely would go back. Agnès est très attentive à votre confort dès votre arrivée, prend bien soin de vous montrer les différents équipements et veille à ce que vous ne manquiez de rien! Elle vous accueille dans un jolie maison très bien entretenue dans un environnement calme. Au matin elle vous sert dans sa salle à manger un petit déjeuner copieux (différents pains et viennoiseries, jus d’orange frais pressés, confiture maison et boissons chaudes à la demande), et prend le temps d’échanger avec vous, et si vous le désirez, de vous conseiller sur les points touristiques. Une hôte très agréable, qui donne envie de revenir ! Absolut freundliche und bemühte Gastgeberin. Es wurde immer auf unser Wohlergehen geachtet. Wir waren mit 2 Hunden dort, was überhaupt kein Problem war. Keine Extrakosten. Das Bad, die Zimmer etc. sind frisch renoviert bzw. in bestem Zustand. One of our best sellers in De Haan! This property is a 9-minute walk from the beach. 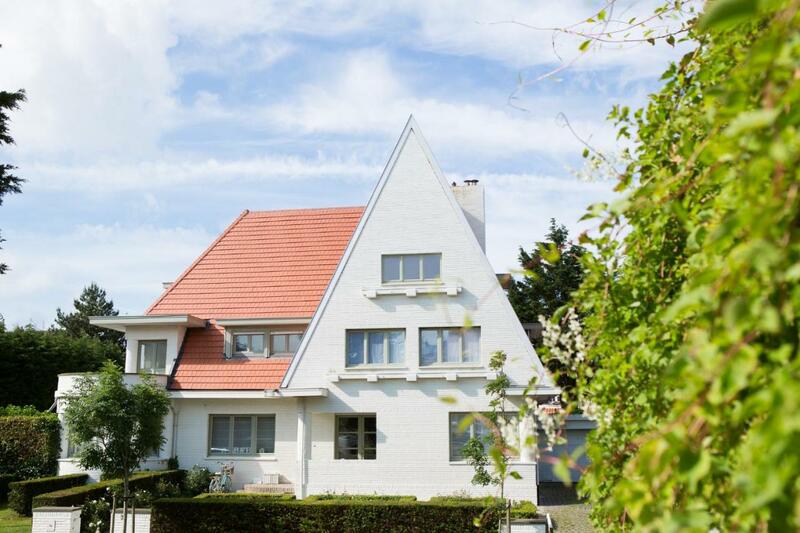 Showcasing a terrace and views of the city, B&B Villa Verde is located in De Haan in the region of West-Vlaanderen, just 9 miles from Bruges.Every room is fitted with a flat-screen TV with cable channels. Certain rooms have a sitting area where you can relax. Enjoy a cup of tea from your terrace or balcony. The rooms come with a private bathroom. For your comfort, you will find free toiletries and a hairdryer.You will find a shared kitchen at the property.Oostende is 6 miles from B&B Villa Verde, and Knokke-Heist is 11 miles from the property. 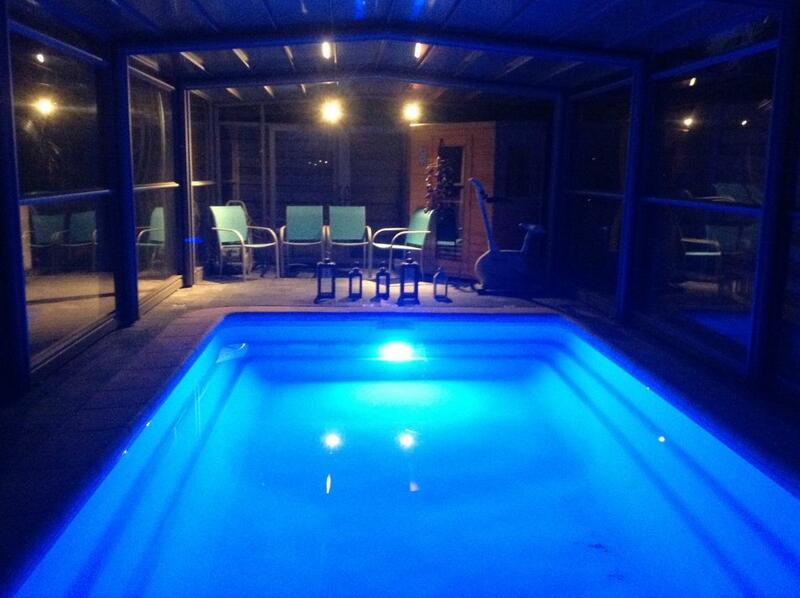 The nearest airport is Ostend-Bruges Airport, 9 miles from B&B Villa Verde. The hosts are very kind and nice people. The staff were very friendly and helpful. The place is very clean and comfortable. The breakfast was great. The hosts are extremely nice, discrete, helpfull. The room we were staying in with the bath in the room is beautifull. Very Comfortable and very clean. The breakfast is delicious and huge ! The owners were not only extremely friendly and welcoming but also very helpful with restaurant advice. Very cute breakfast room and excellent location if you visit the coast with the coastal tram! Featuring free WiFi and a terrace, B&B Les Hirondelles offers comfortable accommodation in De Haan, 9.3 miles from Bruges. The villa is situated in the dunes and is near surfing facilities. Free private parking is available on site.Each room is fitted with a private bathroom. For your comfort, you will find bath robes and free toiletries. Each room includes a safe and minibar. You will find a shared lounge at the property.The area surrounding this bed and breakfast is popular for cycling. Ostend is 6.2 miles from B&B Les Hirondelles, while Knokke-Heist is 10.6 miles from the property. Friendly hosts and a really nice breakfast. Rooms were large with comfy beds. Location near the beach. As we were with a family of five we had a complete floor available which is a plus as a family. The B&B was lovely, we felt very welcome and cared for. The best part – the shower sings to you! Also the beach is very close and the coffee with breakfast was great. The breakfast and the location are perfect. The house is quaint and really cozy. Fantastic location very close to the beach in a quiet area. De Haan is a nice town with lots of beautiful old houses. We were based there and then made day trips to Knokke, Brügge and Ieper. Excellent breakfast. The honemade jams and the freshly squeezed orange juice were exceptionally good. Friendly and helpful landlady who spoke several languages. Very friendly host, large comfortable room equipped with coffee maker and great breakfast. Located right next to the sand dunes and 2 minutes walk from the lovely sandy beach. This property is a 4-minute walk from the beach. Featuring free WiFi throughout the property, B&B Maison Rabelais offers accommodations in De Haan.All rooms include a flat-screen TV. Some units have a sitting area for your convenience. 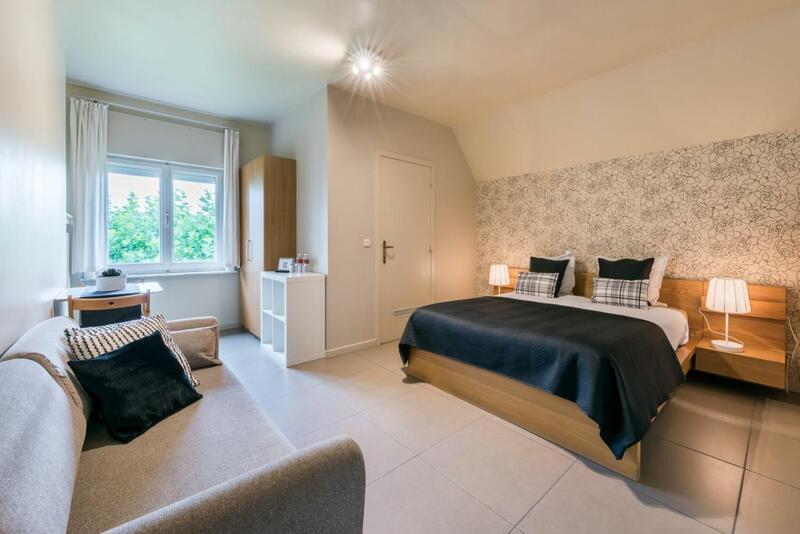 All rooms are fitted with a private bathroom fitted with a bathtub or shower.There is a shared lounge at the property.Bruges is 9 miles from B&B Maison Rabelais, and Oostende is 6 miles from the property. Ostend-Bruges Airport is 9 miles away. Beautiful house and location. Lovely to be able to use the salon. Perfect breakfast . Home made cake left for guests. Good arrangement with access and Sabine very charming. breakfast is perfect! : fresh fruits, eggs prepared on the spot,…. Great location. House and rooms gorgeous and comfortable. Check in and comms so easy. Location is perfect. House is romantic and very nice. Every day freshly baked cake for the guests is a beautiful gesture. Breakfast is very nice. Featuring free WiFi throughout the property, Villa Emilia offers accommodations in De Haan. Free private parking is available on site.Every room is fitted with a flat-screen TV. You will find a coffee machine in the room. Each room has a private bathroom equipped with a shower.Bruges is 10 miles from Villa Emilia, and Oostende is 6 miles away. The nearest airport is Ostend-Bruges Airport, 9 miles from Villa Emilia. Wonderful reception, cosy comfortable beds and breakfast served to the room every morning. Only 5 minute walk to the sandy sea front or, in the opposite direction to the coastal tram service station. Also the coach stop for Brugge. This is a wonderful accomodation, perfectly situated with the most friendliest hosts you can imagine ! Such a warm welcome. Comfortable beds and spacious. We will be back. we’ve had a fantastic stay at Villa Emilia. From the first minute the holiday starts with the warm welcome from the hostess at the Leonidas shop (Belgian chocolates!) just 20 meters away from the accomodation. you get all the information you need and we also received a ticket for free ice from the australian ice, which was very nice (it was very hot weather). the room we had was a perfect translation for peacefulness. It was a beautiful room in a “sea-theme” with all the facilities you need. You have the option to get breakfast, I would surely recommend it! you get the breakfast outside your room on a little table (one table for each room) so you can have a very nice breakfast at your own room. PS. Thank you for the extra we asked for, my girlfriend really enjoyed it!! la situation par rapport à la plage et au centre du village . La chambre était très bien et la literie très confortable . La rue très calme. This property is a 6-minute walk from the beach. 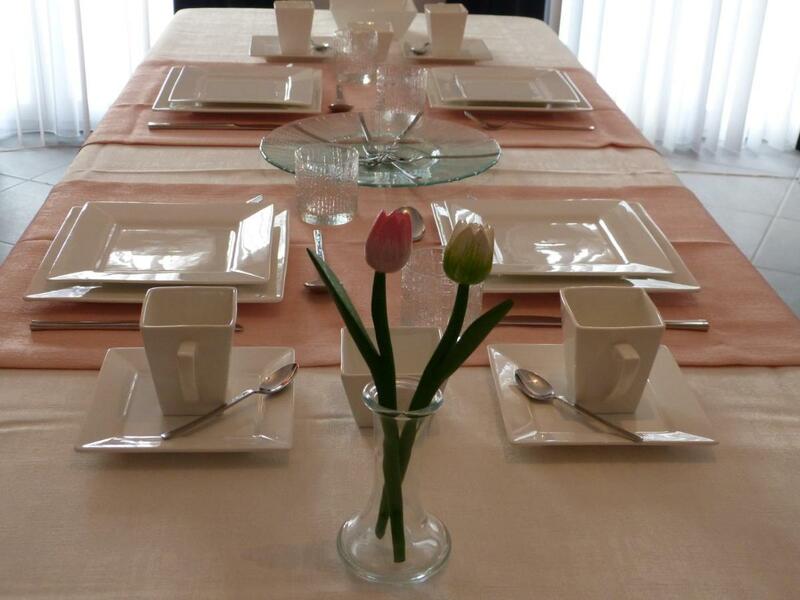 B&B de Tulp aan Zee is located in Wenduine, 9 miles from Bruges and 9 miles from Oostende. Free WiFi is available and free private parking is available on site.All rooms are equipped with a flat-screen TV with satellite channels. Certain rooms include a sitting area for your convenience. You will find a kettle in the room. Every room includes a private bathroom. Extras include bathrobes and free toiletries.You will find a hairdresser’s at the property.Knokke-Heist is 9 miles from B&B de Tulp aan Zee, and Domburg is 25 miles away. Tulip decor of our room, large deck outside our room, Inga and Ivo were friendly, helpful, and served a delicious breakfast. Parking out front! Het ontbijt was uitstekend ! Zeker een aanrader. Lekker vers ! Inge und Ivo sind unglaublich herzliche und liebevolle Gastgeber. Wir haben uns vom ersten Moment an wohlgefühlt. Das Frühstück war sehr lecker und üppig – ein prima Start in dem Tag. Das Zimmer ist sehr liebevoll eingerichtet. Inge steht jederzeit für Fragen zur Verfügung. Wir kommen auf jeden Fall wieder! This property is a 5-minute walk from the beach. Featuring free WiFi throughout the property, B&B Vis-à-Vis offers accommodations in Wenduine.All rooms are fitted with a flat-screen TV. Certain rooms have a sitting area where you can relax. The rooms are equipped with a private bathroom fitted with a shower. For your comfort, you will find free toiletries and a hairdryer.You will find room service at the property.Bike rental is available at this bed and breakfast and the area is popular for biking. Bruges is 9 miles from B&B Vis-à-Vis, and Oostende is 9 miles away. The nearest airport is Ostend-Bruges Airport, 12 miles from the property. Goed ontbijt, gemoedelijke sfeer en vriendelijk personeel! Das Frühstück war unbeschreiblich lecker, die Auswahl bzw Menge für zwei Personen war mehr als ausreichend und wurde netter weise jeden morgen ans Zimmer gebracht.So konnte man ungestört und in aller ruhe auf dem Zimmer Frühstücken.Das Personal war sehr aufmerksam und immer zu einem netten Gespräch aufgelegt. This property is 2 minutes walk from the beach. Featuring free WiFi and a sun terrace, B&B Amylia offers accommodations in Wenduine. Guests can enjoy the on-site restaurant. Free private parking is available on site.Each room at this bed and breakfast is air conditioned and is fitted with a flat-screen TV. Certain rooms feature a sitting area for your convenience. Certain rooms have views of the garden or city. Each room includes a private bathroom. Extras include free toiletries and a hairdryer.There is a gift shop at the property.Bike rental is available at this bed and breakfast and the area is popular for biking. Bruges is 9 miles from B&B Amylia, and Oostende is 9 miles away. Ostend-Bruges Airport is 12 miles from the property. Excellent – wifi, parking, breakfast, room with aircon, and lovely people! The location was great, as was the breakfast room and the breakfast itself. The bathroom was also very nice. Beautiful place with comfy beds, great breakfast and a sunny terrace. nice room + atmosphere, kind people. Newly renovated and furnished. Big playground around the corner. short distances to tram and supermarket. The above is a top selection of the best bed and breakfasts to stay in ‘t Smisken West-Flanders to help you with your search. 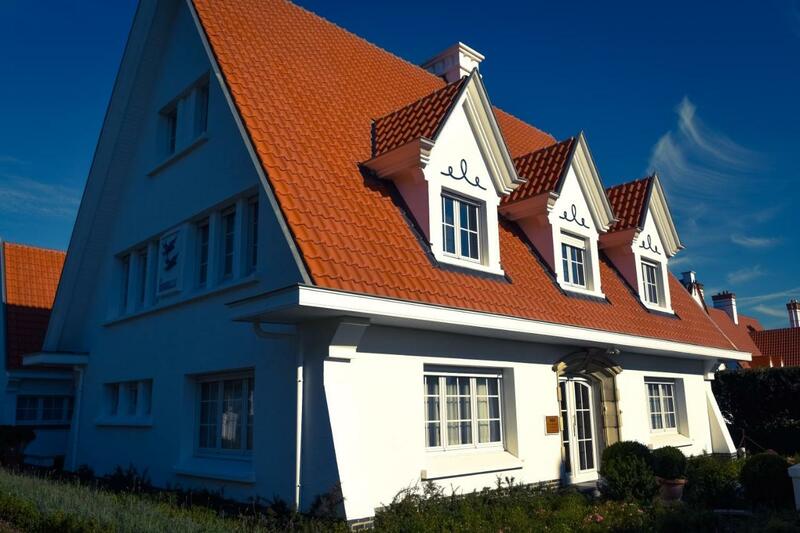 We know it’s not that easy to find the best bed and breakfast because there are just so many places to stay in ‘t Smisken West-Flanders but we hope that the above-mentioned tips have helped you make a good decision. We also hope that you enjoyed our top ten list of the best bed and breakfasts in ‘t Smisken West-Flanders. And we wish you all the best with your future stay!